On Lake W Dock, Deck, Pool Table & Bar! Close To Pelican Pete's! 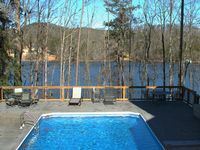 Property 1: On Lake W Dock, Deck, Pool Table & Bar! Close To Pelican Pete's! Pier 39 on Lake Lanier. #1 Rated rental in Gainesville! Property 4: Pier 39 on Lake Lanier. #1 Rated rental in Gainesville! Lake Condo With Views, Dock And Fireplace! Property 5: Lake Condo With Views, Dock And Fireplace! COMFORT like home; NO WORRIES like vacation. Property 6: COMFORT like home; NO WORRIES like vacation. Property 9: Woodland Waters ...The ultimate escape on Lake Lanier GA.
All the conveniences, nestled in nature! Property 16: All the conveniences, nestled in nature! 3 bedroom apartment 22 mi from the Big Game! Property 17: 3 bedroom apartment 22 mi from the Big Game! Very comfortably house ,nice view of the lack ,my family enjoyed it every one of us had something to do ,it is a vaccation I recommend to every family. We loved this home. 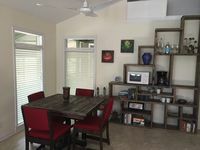 It was well furnished and the owner was so easy to contact and very helpful. We will definitely be back.